I read to my five year old most nights. We are slowly working our way through the various fairy tales in her bookshelf, but one of her all-time favourites (and one I am ordered to read over and over and over again) is a book which is (somewhat alarmingly) called The Snot Goblin. It’s about a little dude of a gremlin who lives under the bed. He wreaks all manner of havoc – but in a sort of likeable, anti-social way which we can all identify with. This in turn makes him quite endearing, despite his naughtiness. Gremlins aren’t just confined to story books. Leadership has its fair share of gremlins. 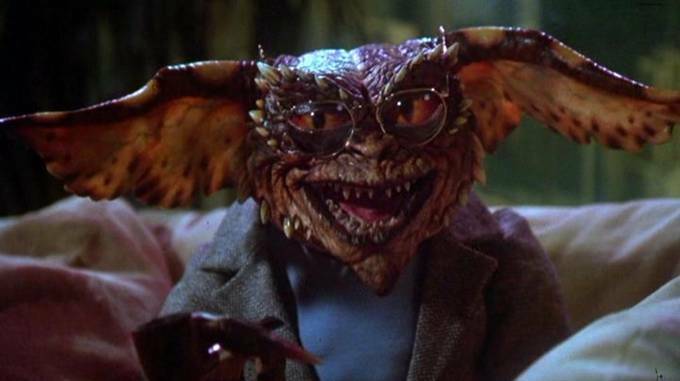 Did you know the word gremlin is supposedly derived from the Old English word gremian, “to vex”? And boy, is bad leadership in action certainly vexing! 1. The ‘Fear of Failure’ gremlin. Fear is a universal experience. It’s hard wired into our psyche and necessary for our survival. But fear of failure, left to grow unchecked, quickly becomes a major gremlin of leadership. It can leave us paralysed, closed in, overcautious. And just when today’s complex head spinning pace of change calls for boldness, openness and a willingness to be creative, this is a gremlin we certainly want to keep under wraps and in control. 2. The ‘Need to be Right all the Time’ gremlin. We all stuff up and are wrong at times. You know this gremlin has come out to play when you can’t remember the last time you said those three little words – “I was wrong” or “sorry I stuffed up” to your team, your customers or to your suppliers.One way to get rid of this gremlin is to become more attuned to the squeamish feeling of discomfort which accompanies being wrong and to use this as your indicator of it being time to fess up. 3. The ‘Talking rather than Listening’ gremlin. This is a humdrum, garden variety gremlin in the Species Gremlinus. But don’t let the fact it’s commonplace fool you as to its pernicious effects. Just ‘cos you see this mischievous, seemingly innocuous gremlin a lot in your office, doesn’t mean it can’t have devastating effects. See here for more evidence of its destruction on team work and effectiveness. 4. The ‘Doin’ it For Them’ gremlin. This lil’ sucker is a tricky little customer. He lulls you into thinking that it’s ‘quicker if I do it myself’. But it’s only after he’s firmly attached himself to your psyche and moved into your pattern of behaviour that you realise, too late, that if you’d just coached your team, instead of doing it for them, you’d get a more motivated, engaged and competent team – and more time for yourself. 5. The ‘Rule by an Iron Fist’ gremlin. This is the Big Daddy of leadership gremlins. He’s such an insidious creature that the term ‘gremlin’ doesn’t really do it justice, in my opinion. This is a MONSTER of a gremlin. You’ll know you have one of these in your closet if you find yourself not allowing anyone to argue or criticise you or your ideas, you marginalise those who challenge you and your team seem afraid to make mistakes (they may even tend to cover up rather than fess up). Other symptoms you have this gremlin dude hanging on to your coat tails is you can’t remember the last time someone below you in the hierarchy openly challenged or disagreed with you. If you have a sneaky suspicion you have the ‘Rule with an Iron fist’ gremlin, it’s time to take a serious look at yourself and your management style. All leaders have gremlins. Given perfectionism is not the ideal (in fact, is it a sixth Gremlin? ), it is about recognising which ones you have under your own bed to make sure they don’t take over and run amok. What are some other types of leadership gremlins? Tell me!